I had a hard time starting my 4runner in the cold weather this winter. It has a good battery and it cranked very well even though it was about 0º, but it really struggled to start. After a long time cranking, the battery finally ran down, so I jumped it with another vehicle. That resulted in more cranking but still, no starting. Then I pulled a spark plug. I found it soaked with gasoline. I proceeded to take out all the spark plugs and replaced them with new ones. I also replaced the distributor cap and rotor. With fresh spark plugs and warmer weather, I tried to start the truck again. This time it started, but it still took a lot of cranking and it didn't run very well. It was way down on power and running really rough. At that point, I parked it and let it sit for about a month and a half. With the temperatures now up into the 40s, it starts on its own but has no power and runs really rough. Is already had a problem with low compression on two cylinders, and I will admit that I should've checked the spark plug wires by now. I have not. At this point, I thought I would check the diagnostic codes. What I got from that effort doesn't seem to match anything I see in the online resources that I've been using. 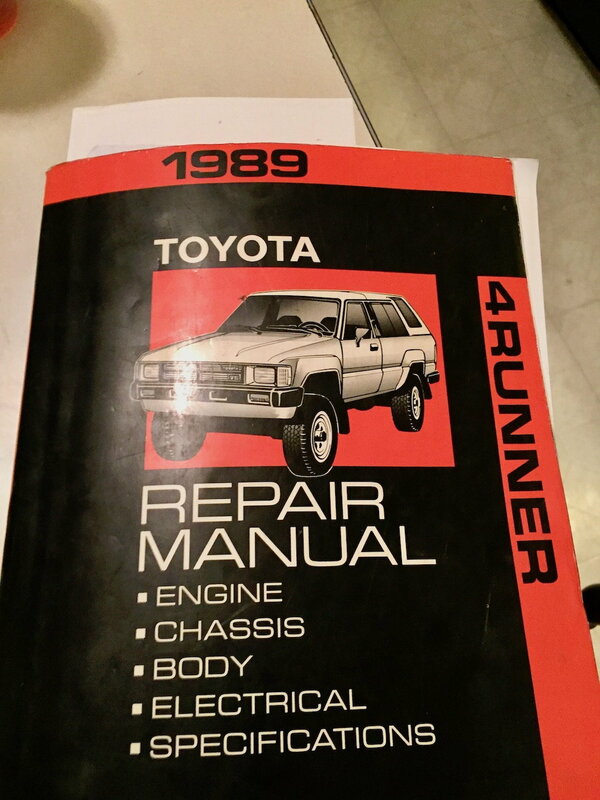 I just moved, and still, haven't found my factory manual. So here's what it is. I put a jumper wire across the T and E1 pins on the diagnostic plug and I get four seconds of nothing then a flash, one and a half seconds until another flash and then four seconds of nothing, after which the cycle repeats itself. To simplify it is, long nothing, Flash, short nothing, Flash, long nothing, repeat. My best guess is that it is indicating the numbers 2 or 11. From what I've seen the is no #2 in the list of codes. Any ideas? Last edited by wrenchtech; 03-26-2019 at 02:54 AM. Just took a look at rockauto.com I noticed that they have a lot of good ignition parts and sensors for reasonable prices coil $45, igniter module $50, spark plug wire set $35, throttle position sensor $50. And a lot of this stuff it Is from big-name Japanese companies like Denso. Amazing! I can remember when an igniter module was only available from the dealer for about $500. If you jumped TE1 and E1 properly that looks like a code 42, VSS (Vehicle Speed Sensor circuit). But you don't say if you have an automatic transmission or with overdrive, So cant say for sure. Find out what is wrong first before you start throwing parts at it. Last edited by ksti; 03-26-2019 at 09:25 AM. This page http://www.4crawler.com/4x4/CheapTricks/TroubleCodes/ discusses how to read "one digit" codes. I don't know much about earlier models, but it sounds like you have a one-digit code => 2. Air Flow Meter circuit. If you just discovered RockAuto, well, you need to drop by here a little more often. RockAuto is one of the more commonly cited sellers when someone just wants to estimate a price or check availability. Along with https://parts.lakelandtoyota.com/ for dealer-only parts. 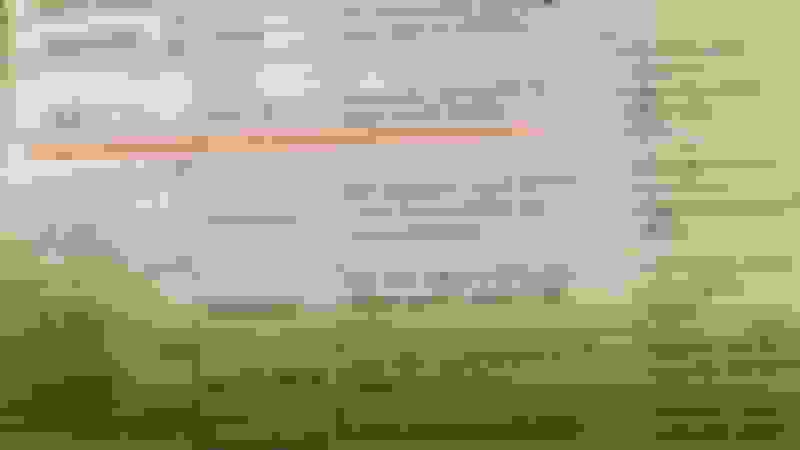 Last edited by scope103; 03-26-2019 at 09:36 AM. This 4runner has a 3VZE engine. I am pretty sure they don't use one digit codes with this engine. 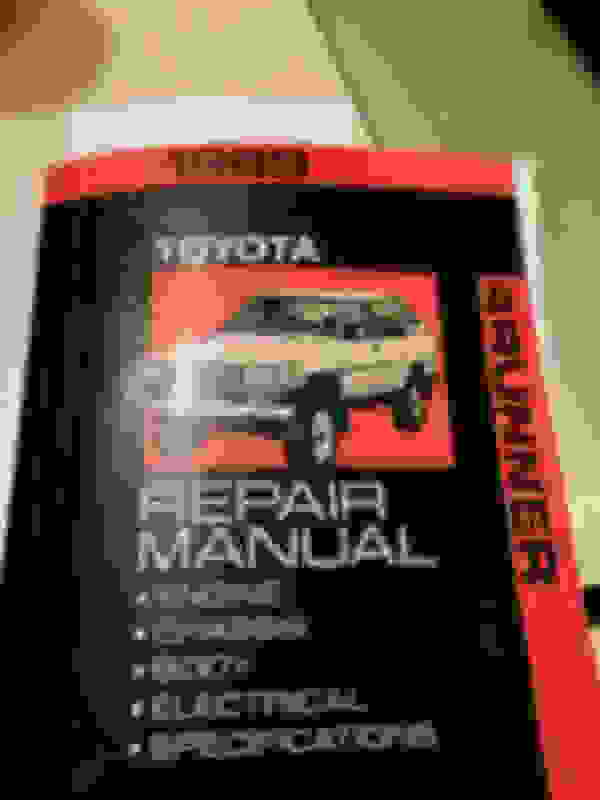 In an unrelated matter, the 4runner has had the check engine light on intermittently for years and I am sure I got a 51 code off of it when I was checking that out. As far as rockauto.com goes, I have been using them for years, I just hadn't looked for stuff like ignitors, coils and TPSs for a while. It's great news for us that they have a lot of that stuff from Japanese OEM suppliers like Denso. That's all I was saying. My 3vze uses one digit codes. I would read that as code 42. Four dashes =4 , 2 dashes=2 . ... I would read that as code 42. Four dashes =4 , 2 dashes=2 . I think wrenchtech is seeing "flash, flash, pause, flash, flash, pause ..." The vertical bars, not the dashes, are the lights. I just moved from the house that I have lived in for 24 years. I have stuff in three different storages. It took a while but I found my factory service manuals and wiring manuals. As soon as I saw it in the manual it was pretty clear that what I was seeing was the code 11. How that applies to my situation, I am not exactly sure. I cleared the code and will drive it around on the farm where I have it stored and see if it comes back. Code 51 should come back if everything is working as normal. I checked out the spark plug wires, which all were within normal ranges. Next, I started to test the throttle position sensor. It seemed to check out okay but I decided to call it a day when my meter started indicating that its battery was low. I will test it again tomorrow with a fresh battery in the old tester, after that, I'll go right down the line and check the air flow meter/Air intake temperature unit, ignition/spark strength, etc. I've been thinking it's an ignition or electronic related thing. If I don't find that to be the case then, of course, I will have to look at the cold start injector and fuel line pressure. I'd like to get this sorted out, so I can begin to tear down the top end to put some new used cylinder heads on there. I've got a pair with only 113,000 miles on them that looks really good. After that, I have a manual transmission swap plan for the 4runner. Then it's straight on to a diesel swap for my 93 pickup. I just stumbled on a fabulous deal on a complete donor 2002 Volkswagen Jetta TDI. I am more excited about that project than anything I have been involved in for years. Last edited by wrenchtech; 03-27-2019 at 07:59 PM. On the early 22RE engines ('85-'87), there are only "one-digit" codes, that is the entire code will be counted out in 1 - 13 flashes. One digit codes have an approximate 4.5 second delay between flashes with the check engine light illuminating for about a half of a second. Two digit codes have a 2.5 second delay between them. For example a code two flashes the check engine lamp two times in a little over one second: I I. If two single digit codes are stored, such as a code two and a code four, the lamp may flash as such: ....I I....I I I I. Crude examples but you get the idea. Two digit codes are similar but will flash the lamp with the first number first and the second number last. An example of a code twelve is I ....II and a code twenty four is I I..IIII. If I understand what he is saying I believe that what I was seeing was a two digit code. I think that would be necessary if you have codes as high as 71, which this 4runner does. If it was single digit code the light would have to flash 71 times indicate code 71. In any case, thanks for posting up the chart with the codes. Last edited by wrenchtech; 03-30-2019 at 05:47 PM. Sorry, when I read one digit code I thought it referred to how the code was posted by the check engine light, one digit per time. Let me clarify it. You are absolutely right that the code is a 2 digits number. The check engine light communicates it one digit per time. You count the flashes until the 2.5sec pause, that's the 1st digit of the code, then the light starts flashing the second digit of the code. 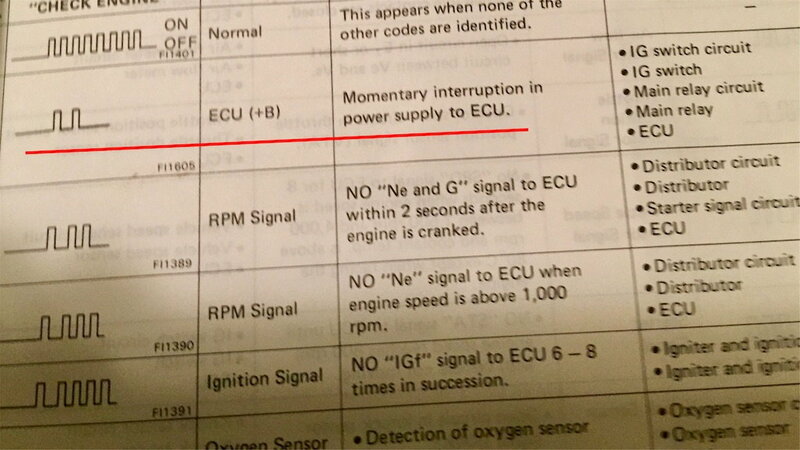 Then there is a long pause, if there are more codes stored by the ECU, the check engine light starts flashing the 2nd code with the same process. When all the codes have been flashed it starts over from the first code stored. Last edited by Killemall; 03-29-2019 at 07:54 AM.